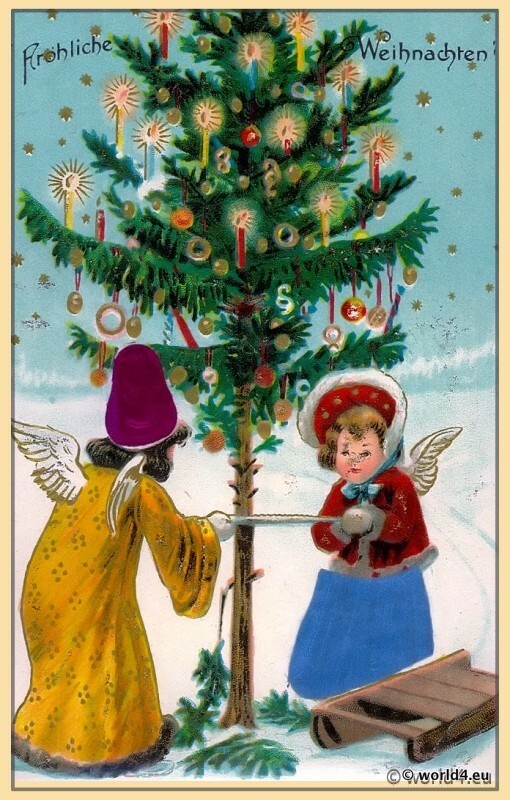 Old fashioned christmas postcard 1910. Old fashioned christmas postcard 1910. Santa Claus with an angel. Santa Claus with an angel, gifts and a beautifully decorated Christmas tree in a snowy winter landscape. Vintage christmas card. Santa Claus with angel. Girl with curly hair praying. Greeting card from 1920s. 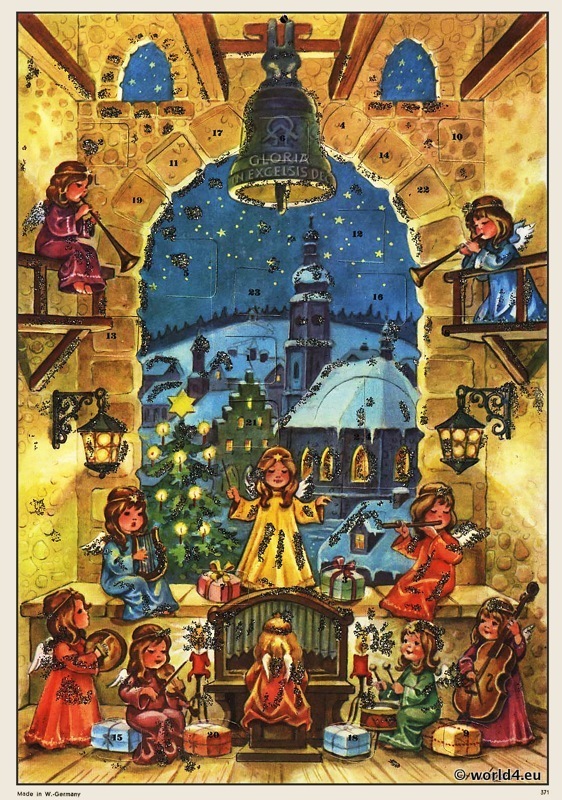 Vintage Advent calendar, German Christmas. Advent calendar, German Christmas. Advent Calendar from the 60’s. Illustration with angels and snowy, romantic winter landscape in the Christmas evening. German christmas advent calendar. 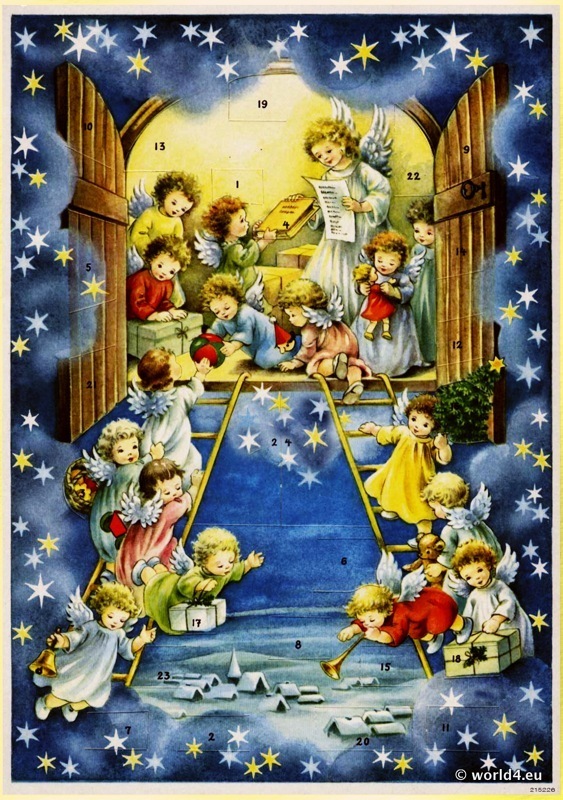 Old advent calendar. Design 1960. Illustration of music making angels in front of a snow-covered town with brightly lit church. German Romantic Christmas with Christmas tree and festive gifts.